There are usually two kinds of high voltage connector for medical equipment X-ray machine, 75KV and 90KV respectively. Among them, 75KV high voltage connector can be connected to 125KV spherical tube for portable X-ray machine or mobile X-ray machine, and 90KV high voltage connector for 150KV spherical tube X-ray machine. Through data calculation, 75KV high voltage connector can also be used for 150KV spherical tube, but it will keep the high voltage connector in a high-voltage state, which will affect the service life of the high voltage connector. When choosing high voltage connector, the KV value of high voltage connector is an important reference index. Therefore, 75KV high voltage connector can be used for various types of spherical tubes, and 75KV high voltage connector can also be used for various types of X-ray machines. 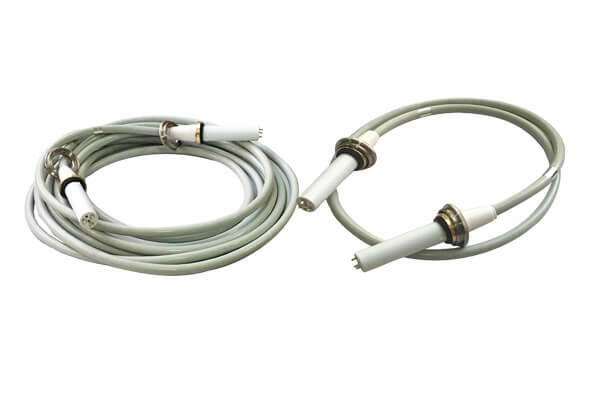 However, 90KV high voltage connector are used for fixed X-ray machines, and 75KV high voltage connector for mobile or portable X-ray machines are more secure and reliable.